Warhol turned to the flower for inspiration time and again. In the 1950s, he made drawings of flowers in the tradition of representational still life. Blotted-line daisies, roses, and gold-foiled irises appeared in early commissioned artworks and book illustrations. He returned to the floral still life in 1974, with a series of screen prints based on Japanese ikebana arrangements.His 5 Inch Flower Painting Andy Warhol is just one of a hand full of canvases he made. Unlike 5 Inch Flower Painting Andy Warhol made many prints of the motif. “Flowers in art and culture have been ubiquitous since the beginning of recorded art history,” says Smith. “The floral theme wasn’t any more exhausted when Warhol was doing it than when 17th-century Dutch painters or the Impressionists were. But Warhol was sly; he was always playing with traditional art historical themes.”He converted what was conventional and turnend it into something grandiose. 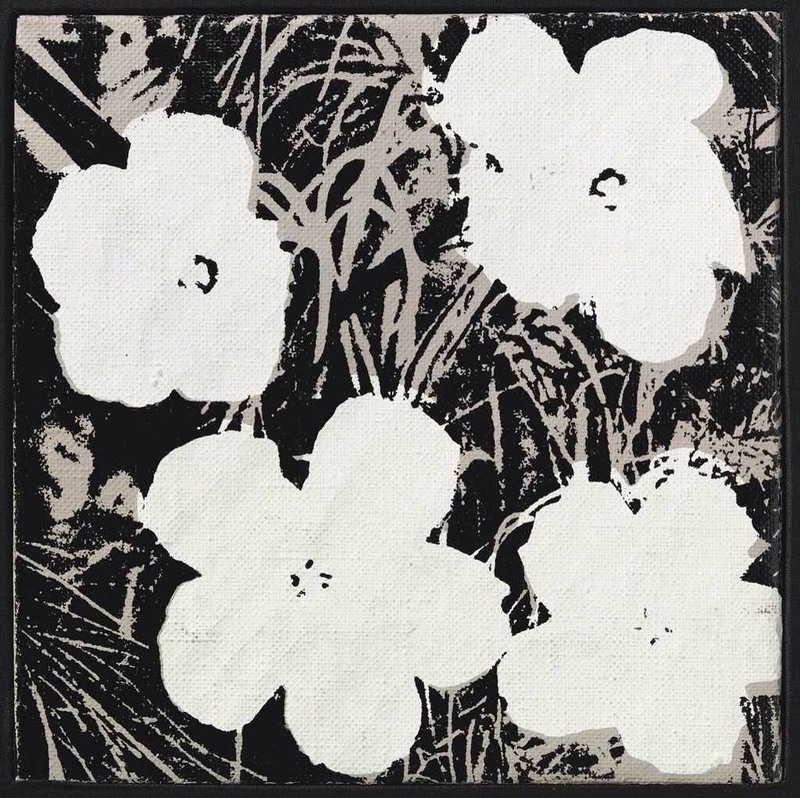 5 Inch Flower Painting Andy Warhol is now for sale at Guy Hepner.